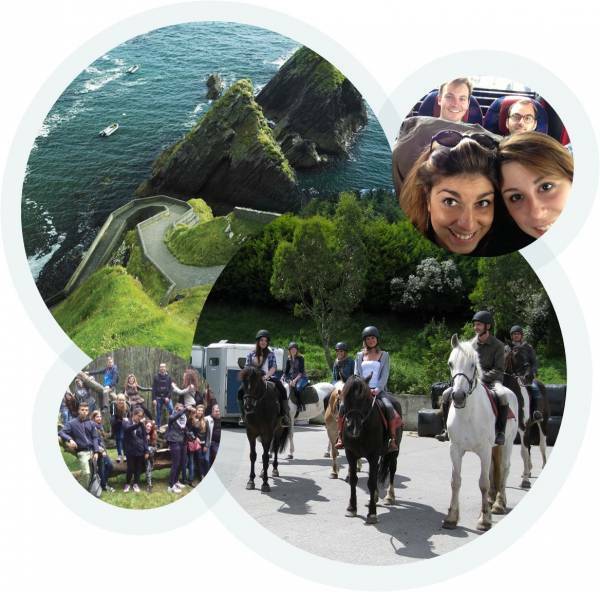 Our social programme includes daily activities around Dublin for all of our students to enjoy! There is always a member of staff guiding you in all activities. Our activities are either free or you will only have to pay for your food and drinks, travel or small entrance fee. Enjoy your time in Dublin with us! Participating in activities is a great way to make new friends, discover more about Dublin and its history, and also to practise your English. Rebeca Castro is our Client Services Officer and she is always available to help you if you have any questions, need some advice or have special requests. Dublin is a city with lots of great places to eat. There are many cafes, bars and restaurants all close to the school... Dublin is fast becoming a student paradise! We can help you to plan exciting trips outside Dublin with your class mates where you can visit beautiful locations with astonishing landscapes such as Giant’s Causeway in Northern Ireland; The Cliffs of Moher, Galway, Connemara, and the Wicklow Mountains. Make your visit to Ireland a memory you will never forget! Experience many exciting festivals that happen in Ireland throughout the year. During the summer there are a multitude of music festivals for you to choose from including The Electric Picnic, Forbidden Fruit, Killarney Music & Food and Body & Soul. Other events for you to enjoy include the Dublin Film Festival, St. Patrick’s Day and the Festival of Street Performing Arts.